I would love to see this awesome EP on vinyl. I LOVE THIS BAND and I never was able to find this before. I am really happy that you found some! another reason to love DIschord forever. 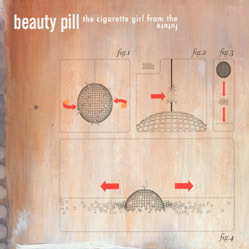 The Debut EP from Beauty Pill. This record was released in 2001 as a split with DeSoto Records. This EP will be re-issued as an expanded double-LP by Butterscotch Records in 2015.